Item # 316528 Stash Points: 2,195 (?) This is the number of points you get in The Zumiez Stash for purchasing this item. Stash points are redeemable for exclusive rewards only available to Zumiez Stash members. To redeem your points check out the rewards catalog on thestash.zumiez.com. 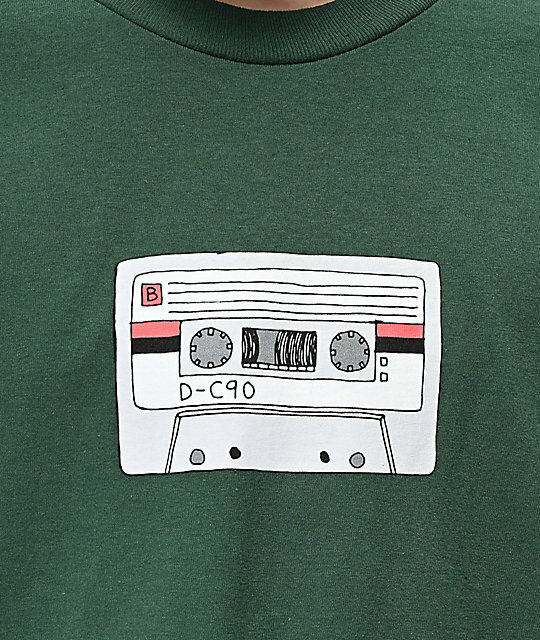 Take it back to the times when recording songs from the radio was an art, especially when you could cut the DJ off perfectly, in the "Mix Tape" tee shirt from Know Bad Daze. 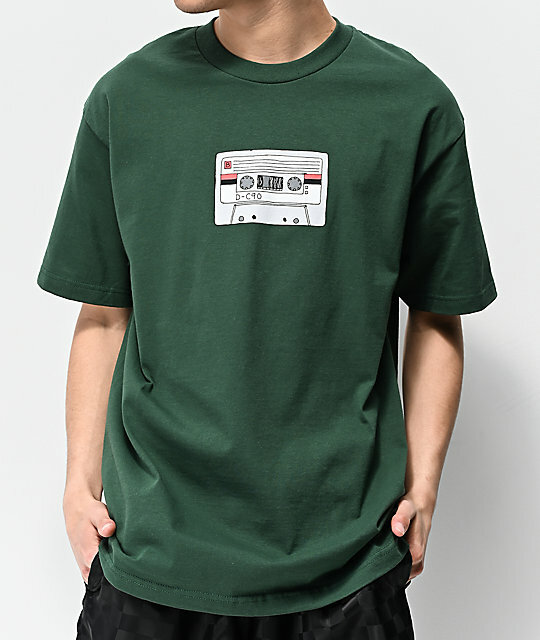 This forest green, 100% cotton short sleeve tee features a cartoon depiction of a cassette tape at the front while "Mix Tape" is in bold white lettering on the upper back. A perfect parody to a modern fashion trend. 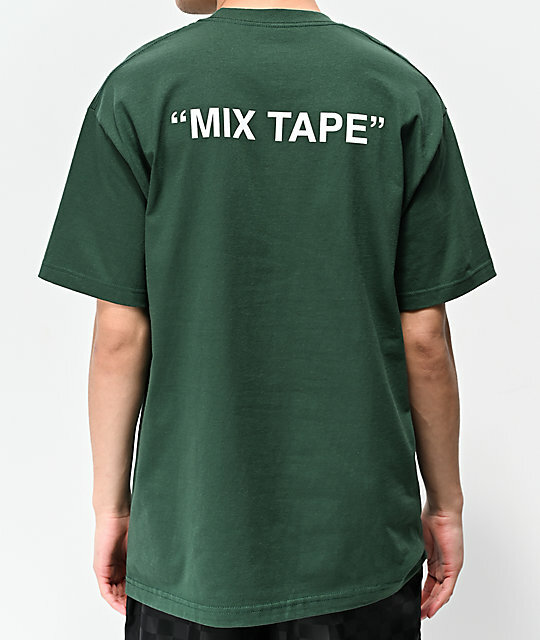 "Mix Tape" Dark Green T-Shirt from Know Bad Daze.